Author: L'ARCHITECTURE D'AUJOURD'HUI. NO 73. 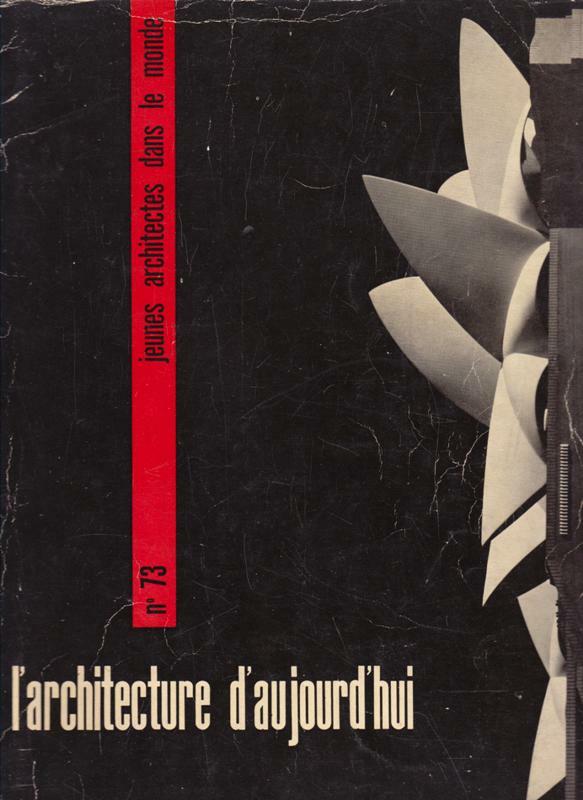 Title: Jeunes architectes dans le monde. Description: Boulogne, André Bloc directeur, 1957. Orig wrappers,(31,5 x 24,5 cm) LXXVI pp, 112 pp., profusely illustrated, some colour ills. With several publicity pages. Some names and works by i.a. : Morgenthaler et Atelier 5, Jorn Utzon (Opera Sydney), Christian Norberg Schulz, Frei Otto. Condition: Covers and spine with imperfections.